What Are the Benefits of Psyllium Husk Fiber? For anyone who doesn’t get enough fiber from their daily diet, psyllium husk fiber supplements are becoming increasingly popular way to boost fiber intake to help maintain healthy digestion, healthy weight and even a healthy heart. 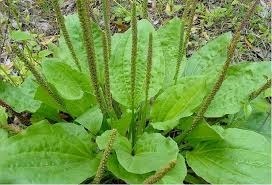 Psyllium husk fiber comes from the seed of the Plantago ovata [plantain] plant. Its spongy fibers form a kind of gel when combined with water (like in your stomach, for example, where it helps curb appetite by making you feel full). This “gel” is also responsible for psyllium husk’s natural digestive and GI benefits, as it helps maintain regularity. Looking to lose weight? You know what to do: eat right, exercise and work to optimize your mental well-being to keep it all on track. Psyllium husk fiber can help with the diet part by targeting your hunger and curbing your appetite. Weight management is perhaps the number one use for psyllium fiber. Its natural bulk-forming capabilities are second to none. For those weight naturally big appetites, psyllium—taken about 30 minutes before meals with a full glass of water—can help you feel fuller, faster, resulting in more normalized portions and a pattern that hopefully leads to a long-term healthy relationship with food. If weight loss is psyllium fiber’s number one use, digestive health is, fittingly, number two. As a bulk-forming fiber supplement, it soaks up water in your gut, which in turn helps maintain regularity in the bathroom (without increasing flatulence!). As a digestive supplement, psyllium can be used as needed, or it can be implemented into your regular dietary supplement routine to maintain regularity and digestive health over the long-term. And besides regularity, psyllium can also help soften stools, which promotes a more comfortable bathroom experience. Fiber is Mother Nature’s answer to maintaining healthy blood sugar levels already within the normal range. For those on low-carb or high-protein diets that restrict fiber intake (no cereals, grains, etc. ), psyllium husk is the perfect fiber supplement or fiber replacement option to ensure your body’s getting enough. Interestingly, fiber is classified as a dietary carbohydrate. However, unlike other carbs, fiber like psyllium husk doesn’t get broken down into sugar. What it does is pass through your system, all the while helping maintain those healthy blood sugar levels and curbing your appetite. It’s interesting to see just how connected the body’s systems really are, and getting to know psyllium fiber helps uncover all these links. Just like psyllium helps maintain normal blood sugar levels, healthy digestion and appetite, it can also play a role in maintaining healthy cholesterol levels and a healthy heart. Why? Let’s dig in. The simple answer is all these things are connected. The bulk-forming action of the fiber that helps curb appetite by giving you that full feeling is also responsible for psyllium’s GI support. That regularity, in turn, helps maintain healthy blood sugar because that fiber isn’t being broken down into simple sugars. That regularity also ties into maintaining healthy cholesterol levels (those already within the normal range) simply through the action of keeping everything moving through your system. And what do healthy cholesterol levels, healthy blood sugar levels and a healthy diet all add up to? A healthy heart. Over the last few years, gluten-free foods have come a long way in taste and texture. Bakers have caught on to one little-known secret for making their gluten-free goods more palatable: psyllium husk fiber. Because it forms a gel-like substance when combined with water and other liquids, psyllium fiber can transform dry, crumbly GF baked goods into delectably moist breads, buns and cakes sure to please even the pickiest of eaters.